How to start teaching yoga the right way? What steps to follow? Whatever your point of entry in the field of yoga as a student, once you have practised long enough, you get inspired to teach. maybe to take yoga as a career. In all three, as the path you are choosing is Yoga, it comes with certain responsibilities. Why what is so special just because the field is yoga? The reason is simple: Yoga is the way of life, not just asana and pranayama. Though you may teach mainly these two, still you are a yoga teacher. Hence, at any given point in time, you are the representative of what yoga is about to your students. This is also the reason that current levels are yoga professionals is being implemented. This helps in setting a uniform standard that any teacher or instructor of yoga is expected to have. Which means, at some point, it requires an introduction to show that what yoga is beyond asana practice. It helps in developing proper knowledge about Yoga philosophy as a way of life. When you tell your students about the principles which guide all the different practices of Yoga. It shows how yoga is based on deep understanding of ourselves, our body, our nature and nature around us. This is definitely the first step. Knowing concepts of yoga and being good in asana practice is not enough. You need a structure to your knowledge. A good quality teacher’s training course covers all aspect of a good introduction to yoga teaching. Specified teacher’s training programme and courses are most popular structured courses for getting yourself trained in teaching yoga. The most common of these is RYT-200, which is 200 hours contact hours based course structure recognised by Yoga Alliance. The other one, which is gaining prominence now, is Yoga Certification based Level 2(Teacher) course. This is normally around 350 contact hours based. Then we have PG Diploma in Yoga & MA in Yoga. Do you need to do a course to teach yoga? No, specifically you don’t need to do a ‘course’ as such to be able to appear for Level 2 exam. Though RYT-200 from Yoga Alliance requires you to do the recognized course. I would suggest you should. The reason being, a course is designed, structured material which is taught with the certain intent. You get to know about yoga philosophy, teaching asanas and other related concepts in a concise manner. This form a base for your further development in the field of yoga. You won’t get practical approach to teaching asanas, pranayamas to students. It will take time to read classical texts as you will have to ask around which one to read initially and which ones are better suited to later studies. Which teacher training course to do? Or to go for University level courses? What is the better way? If you want to get into learning how to teach and get trained under an experienced teacher, go for the course or programme. You will be in the practical field mostly within 2 months or less than a year. It will still take around 2 years for you to be able to call yourself a good teacher. But you will learn practical and relativeness of yoga in the current life, sooner. If you are of the studious type and want to get more into theory part of yoga. Go for longer duration course. Of course, you can start learning to teach under an experienced teacher if you have access to one nearby. In university structure, the professor/teacher is normally not a regular teacher. If you get yourself a professor who also teaches to people who are outside the course, then definitely assist and learn from him/her. Important: Take your time, don’t hurry into joining a course. Talk to previous students if you can. Once you have thought it through, then only you should proceed with the course. Most of the residential courses are life-changing experiences, hence you should take your time in deciding one. When you have done any teacher’s training course/programme (which is a good way to start), then you course material covers nearly all the concepts of teacher’s level. The issue is that normally the course material will be a concise introduction to main topics of yoga. You will be mainly scratching the surface of the concepts of yoga philosophy. But, there is no reason that you should not increase the depth of your understanding of the concepts later? Reading about different concepts, questions and answers being written about the concepts. This is the someway interactive way of learning. Start with the introductory books written by Masters of the Yoga and then proceed to more detailed books, one at a time. You can read the complete list of recommended books according to levels here. The important point: Don’t feel shy to ask for clarity of any concept. Proper understanding requires that concepts are properly explained and questions are answered. Once you are out of teacher’s training course/programme, there is a tendency to lose that level of contact which was daily process during the course. And it is not due to your personality, but because life gets in the way. Plus your teacher and friend circle are also busy in their responsibilities. Thus regular habit and keeping in touch with other teachers or yogis is a good way to keep your conceptual understanding proper. Books to read and how to stay connected? There are several publications and books you can read to further and deepen your knowledge of Yoga concepts and philosophy. One of the solutions is to mail your teacher with your questions (many teachers are now technically inclined). Or you can join a forum like The Yoga Talk. Here you are in the company of many learned teachers, who give their time to the community, at a time suitable to them. That answer is then there for others to see too, and if someone has any value addition to be done, they can also add their replies to the thread. This is best done, right from the beginning of your phase of starting to teach yoga. The mind is fresh, inquisitiveness is there, curiosity is still there. Use it to build strong foundations. This is the important part. You see, telling someone you don’t know about a certain part of yoga philosophy is ok. When you are teaching asana, pranayama and other physical practices, your student is practising them physically. Any mistake or missed step is going to affect them physically. Now consider this, the very practice of asana is propounded as gentle on joints and easy approach. This is what brings unhealthy, new students to yoga when they are looking for yoga. You make any mistake here, and you have harmed that students the whole experience of entry into the practice of yoga. Thus, knowing the right way to teaching practical part of yoga is very important. What makes a good asana teacher? Instructions: By instruction means, instructions which are proper and clear. Unclear instructions lead to an improper understanding of where to focus. Demonstration: By demonstrating the asana, you are teaching your students, to learn by imitating. Touching: This is the last resort. You actually go and touch your student to correct and improve his posture. When to touch the student. From which position to touch and correct. These are things, which can’t be all listed in words. Most of them require workshop and feedback to get right. Touching your students is the last resort of correcting and improving practice. And the way you touch is what makes them either improve or get uncomfortable. This is where the experience of a senior teacher comes into the picture. You get to see how he instructs and corrects his students. How sometimes, a group demonstration is presented. How sometimes selected students are individually corrected in the whole class. All these small things matter. They form the qualities of a good yoga teacher. Not even good, they define the qualities of a great yoga teacher. Is it easy to come? NO. It is not. 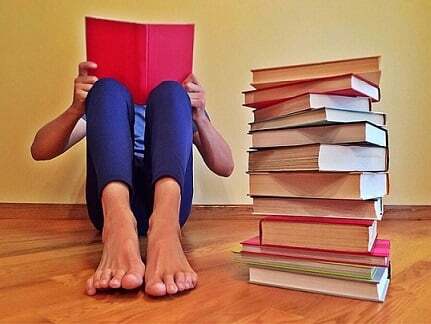 It is not like reading and mugging up few books. You are dealing with people who may not have done yoga, till they landed in your class. They all have different body shapes and related issues. You can’t follow the same pattern with each one of them. It requires observation. You may find someone who has never practised before. Fairly young people with lower back pain issues, shoulder stiffness or middle-aged people having blood pressure issues, knees issues, and so on. Now, teaching in such scenarios is not easy. You can’t just give a demo of how it is done, and then expect them to copy it. It won’t happen. It takes 4-5 classes for any new student to get comfortable with different body movements, then getting better with proper breathing and so on. And this is just beginning phase. You have to observe your students in their practice, to know what will work for them. If possible, learn to teach a live class under the supervision of an experienced teacher. There is no alternative to that. When you learn in your course, your batchmates are more or less in good health and have the proper understanding of the practice. But that is not the case with anyone who comes in a class in the real world. In the company of a senior teacher, you get to know how to introduce the practice of yoga to new students. The way the asana are taught to the students. How students are also advised to practice when they are not able to perform due to physical limitations. You also learn about how to improve the practice of more able students. Corrections & gentle pushes to make a student reach higher levels of practice. And on top of all these skills, you also learn about patience, compassion and consistency of improving the practice of the students. You see, a standard 200-hour yoga teacher training or yoga alliance certification is not comprehensive in this regard. Teaching yoga is hard and learning qualities of an effective yoga teacher take time. It requires on an average a year and a half (1 1/2 years) of regular teaching under supervision to be a teacher. Is it a lot of time, yes. But that is what it is. It is not about your intelligence, these skills are dependent on a lot of other factors too. In a more subtle way, they are not learned but imbibed from assisting and teaching classes under supervision. One additional benefit of learning to teach yoga under an experienced teacher is the improvement in speaking skills. Knowing the asanas is not enough, you should also know how to use your voice, sentence structure and instructions to convey proper understanding. Knowing the correct words to use when delivering a class is very important. In a running class, especially in a group class, you don’t have time to repeat or improvise your words much. Saying right word helps in proper practice by students. Another benefit is you learn how to arrange a class. The placement of altar, the arrangement of mats, posters, announcement sheets etc. are many small things which normally goes unnoticed. But these are important details to present a feeling of well-organized class. If not able to learn from a teacher, then stay back where you completed your teacher’s training course and assist the next one and couple of more on regular basis. Answer questions of new teacher’s, help them get their own practice right. This is a slightly longer path and you will still feel not quite at home when you get back. And most important point: Keep reading. Reading about the perspective of different masters keep your mind aware and deepens your understanding. Learning to teach yoga is a serious thing. If anyone made you believe that you just have to complete a course and you are good to go, then he/she has not experienced it yet. A good yoga teacher can help in changing the lives of their students. Most of the students are coming to yoga because they are not healthy, have tried many things and have come to understand that maybe yoga can help them. This is a huge responsibility. And one with constant self-learning and growth. As compared to any other field of teaching, the only separating factor yoga has is the growth of self is also there. You are not required to follow, but a practising teacher has greater influence than someone who is just delivering it like a profession. Plus, teaching yoga and helping people get healthy and better is quite satisfactory within itself. Such guidelines for proper planning and adoption of Yoga, need to know the truth and basics about what you can expect and wish to do.